Choosing the mulch that’s best for you isn’t always easy. There are a wide variety of mulches. 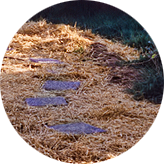 Here are some of our favorites: bark nuggets, compost, gravel, pecan shells, shredded bark, straw, and wood chips. 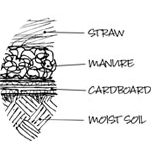 What kind of mulch is best for your site and your chosen plant material? 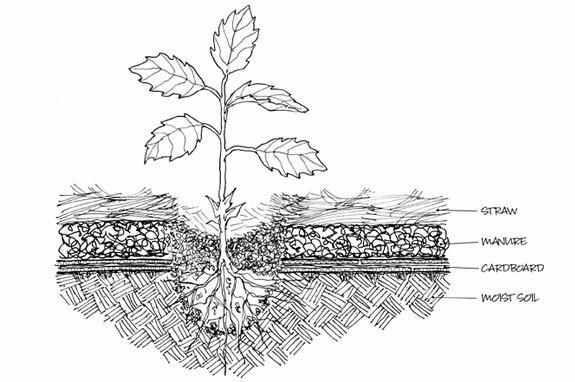 Confused about mulching? We can help. More important than the “What kind of mulch is best for me?” question is the question of “To mulch, or not to mulch?” To varying degrees, mulch materials retain moisture in soil, prevent erosion from wind and water, insulate soil from extremes of heat and cold, increase nutrients in the soil by creating a comfortable microclimate for beneficial insects and mycelium, and combat/prevent (some) invasive weeds. 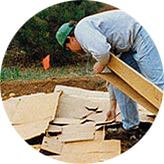 The PermaDesign team has used more different forms of mulch than we might like to admit, and we’ll gladly recommend the material that we think is best for you—before the delivery truck arrives.